In our modern, ever-electronic, workplace, it continues to become ever-easier for dishonest employees to help themselves to their employer’s most sensitive and valuable assets through wholesale electronic copying of confidential, proprietary, and trade secret information. A recent example is a case of a former employee of a large medical device company who was recently indicted for criminal charges for stealing, via a thumb drive, the company’s trade secrets regarding the design of a balloon-catheter system. According to the indictment, the employee then left his employment and began trying to launch a new business selling the medical device (for which he supposedly owned the underlying technology). 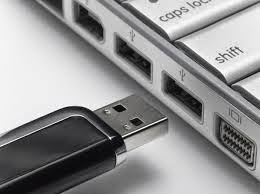 These days, few things present as big of a threat to companies as a tiny thumb drive. Although the Boston Scientific story represents a relatively rare situation where criminal charges are being pursued for the alleged theft of trade secrets, instances of employees misappropriating an employer’s trade secrets, and other confidential and proprietary information, are far too common these days. Those unlawful acts can cause tremendous harm to a company and can also expose new employers of pilfering employees to very severe legal and economic consequences, including multi-million dollar jury awards (such as the $22 million verdict that we obtained for our client) and injunctions shutting down significant portions of their business. Although the matter of misappropriation/theft of trade secrets has been addressed for quite some time by laws enacted at the state level, with 47 different states adopting versions of the Uniform Trade Secrets Act, including Minnesota, that topic is also now receiving serious attention at the federal level. There is no currently existing federal law that directly addresses the issue of misappropriation of trade secrets, although some federal laws do touch on the issue peripherally. Although Congress has kicked around the possibility of a federal statute over the last few years, the current developments regarding the possible Trade Secrets Protection Act of 2014 represent the farthest advancement to date of a possible federal trade secrets law. In the meantime, careful employers would be well served to give some thought as to how much harm they might suffer at the hands of an unscrupulous employee. Employers should then think about confidentiality policies, practices, and agreements to be put in place – and followed. That should include consideration of efforts to monitor compliance by employees with those policies and practices. Notwithstanding the criminal proceedings in the Boston Scientific matter, wronged employers are typically left to fight for their own justice through the commencement of a civil lawsuit. We still operate mostly in a legal environment where a person can get incarcerated for five years for stealing a $1,000 laptop computer, but only face a civil lawsuit for stealing thousands of computer files, worth hundreds of thousands of dollars (or more). So, it is much better for companies to be vigilant on the front-end.